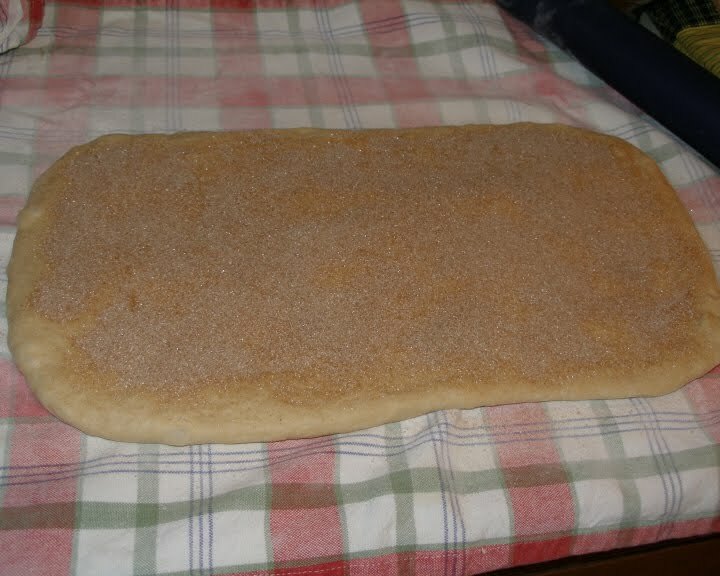 Whether you have carpal tunnel, arthritis, no bread machine, no mixer, a fear of kneading, or just want to try something new; the stretch and fold method is a great way to make bread. All you need is a few hours where you can periodically attend the dough between other tasks. One nice thing I have found is that in comparing bread made by machine kneading and using stretch and fold, the s&f method yields dough with beautifully developed gluten and bread that tastes fabulous. That extra time seems to promote more complex flavor development and I have found that even sliced, it keeps fabulously in the freezer. 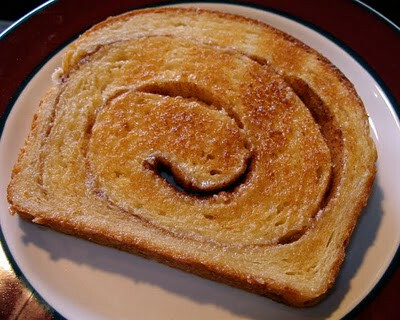 I found some lost slices of cinnamon bread in the refrigerator freezer (notoriously prone to freezer burning things), that were at least six months old; they toasted up just like fresh. As a matter of fact, my father in law mentioned after eating those particular slices, that I could bring a spare loaf to visit anytime. (This from a man who never makes comments or requests on food!) This method also seems very forgiving on time. I did forget about it for an extra 45 minutes this time because I got distracted after the third fold. 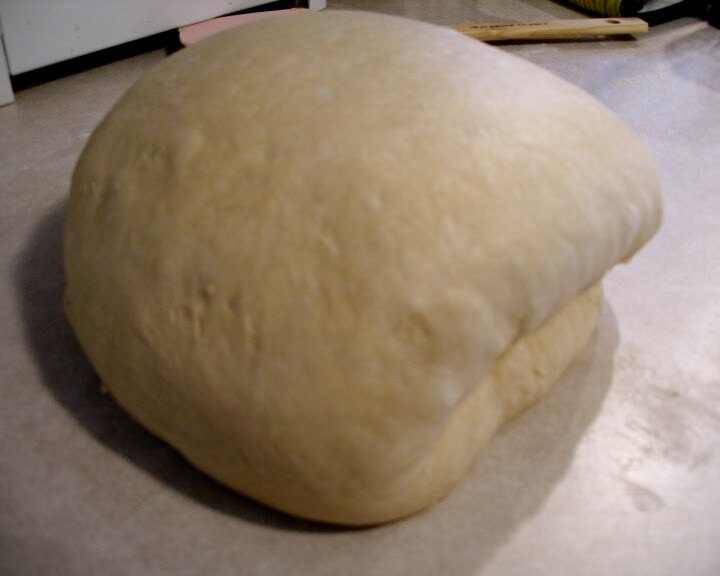 Even so, it still was very willing to rise perfectly after loafing it. 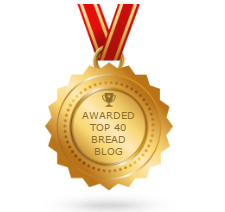 (After swearing, and then loafing it.) 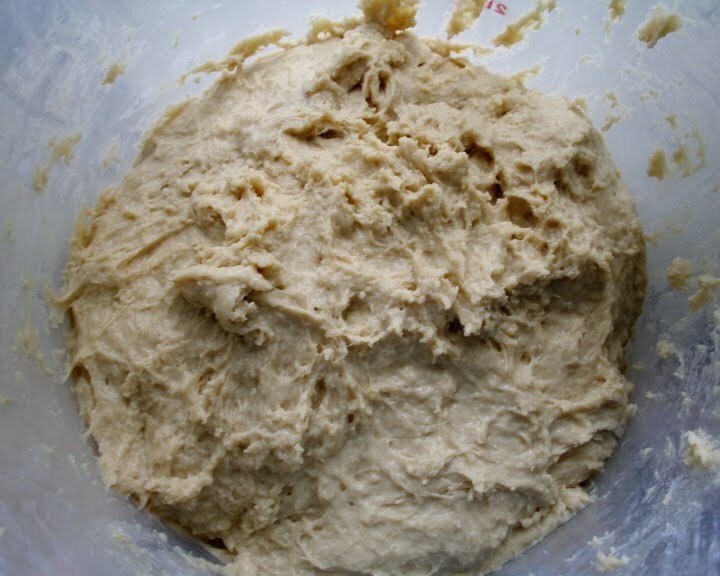 I do appreciate that I can do a full two loaf batch of dough this way. You cannot really knead that much dough in my little bread machine. Saves me a few electrical pennies. When I have regular milk on hand I will make this bread using that, scalded. It really does make a subtle yet wonderful difference in flavor. Otherwise I use baker's dry milk. I think the non instant dry milk that Organic Valley offers would be a good substitute for King Arthur's special dry milk, also non instant. 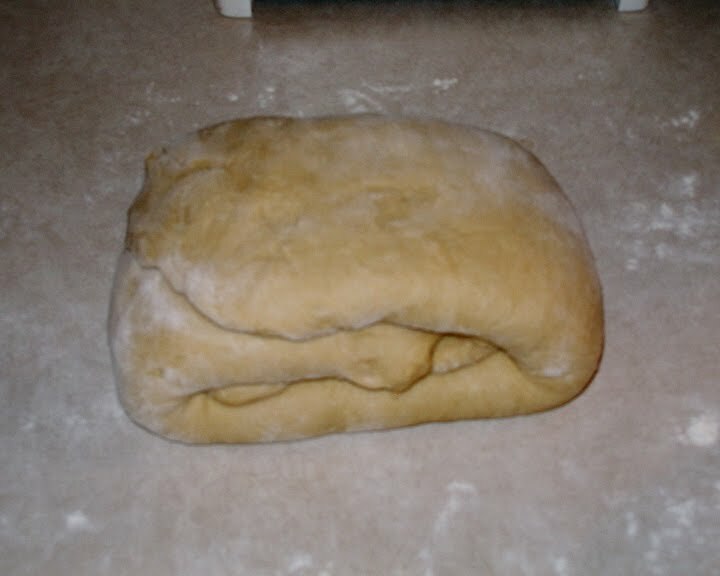 The timing necessary between folding may vary depending on the dough. I've found that this loaf doesn't particularly require the standard 45 minutes for each rest but it won't hurt it. Like I said, it's forgiving. 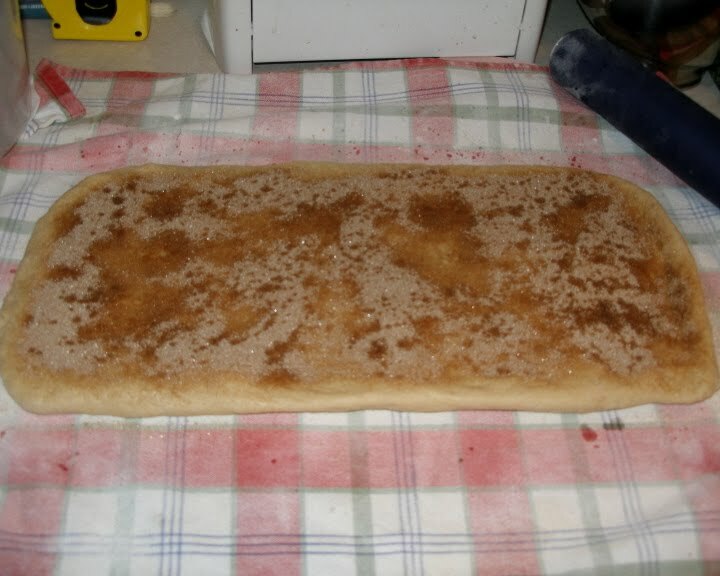 Combine the filling sugar and cinnamon in a bowl and set aside. Reserve 2 tbsp of the mixture for topping the loaves if desired. ... and then again from the short ends to the middle. Now plop it back in the bucket/bowl seam side down for another 30-45 minutes. Rinse and repeat two more times. 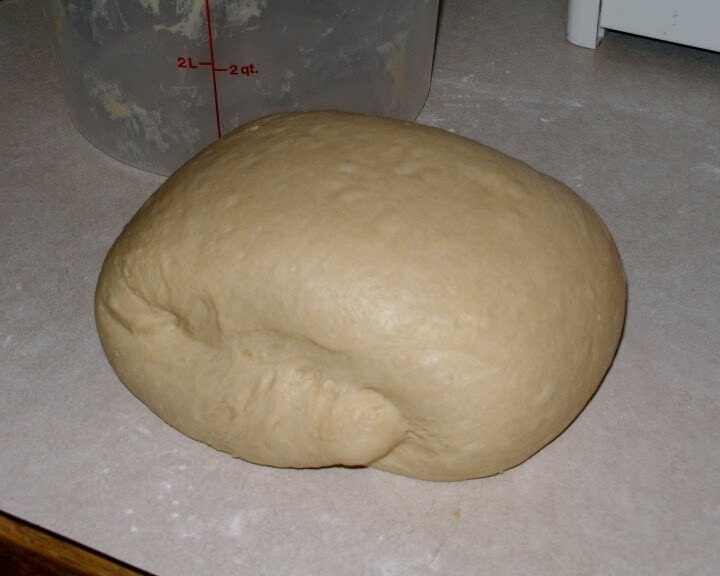 After only the first fold, it looks more like a proper dough. Same thing with the next fold: tease it out gently to about one third its original height and fold over side to side and end to end. 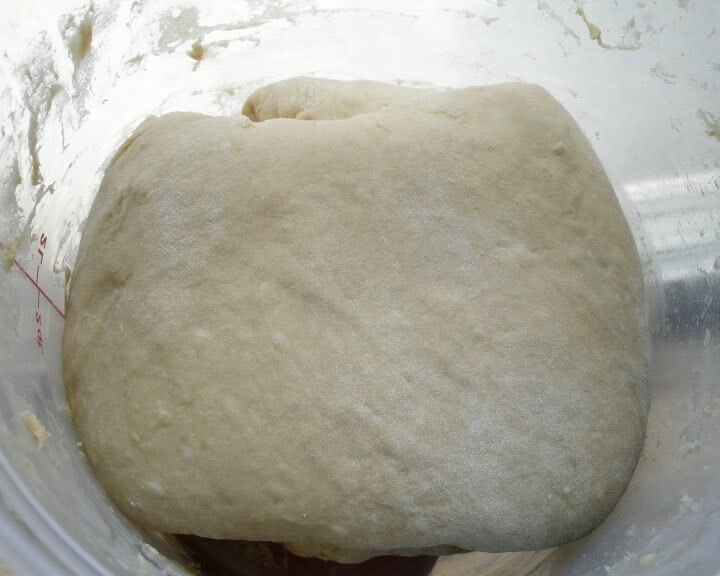 See that dough developing? Ready for the final fold. And look how beautiful the dough is now. 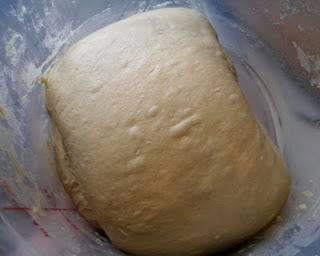 Don't expect the dough to rise all that much, since we are degassing it with each fold. 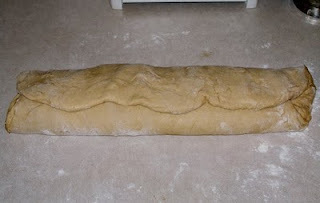 This is the final turnout to divide and loaf the dough. It's much more puffy because I turned off the timer and then got side tracked. 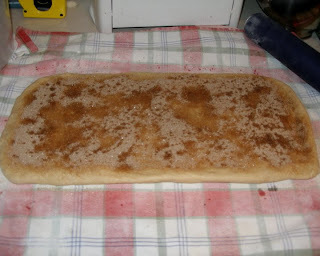 Now sprinkle with half of the cinnamon sugar mixture on each rectangle. 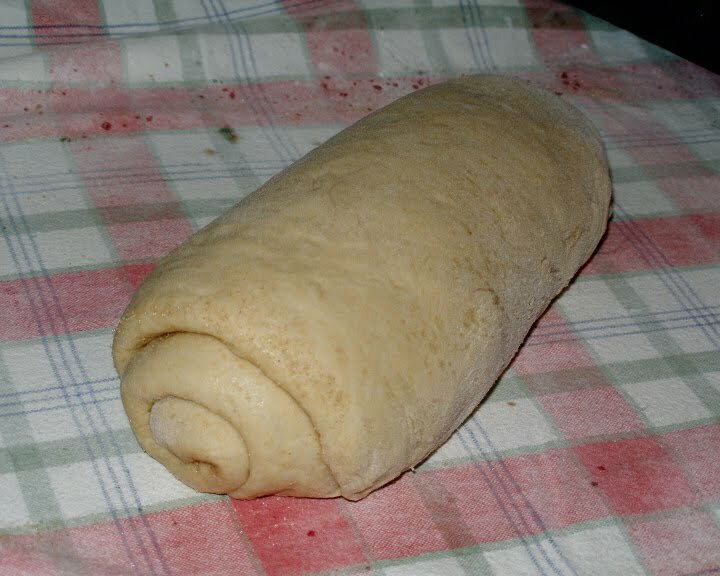 Once you are satisfied with the state of your filling, kind of a pasty consistency, roll that puppy up. (From the short side.) I like to give it a tiny bit of stretch as I roll, I think it helps to achieve a tighter roll. 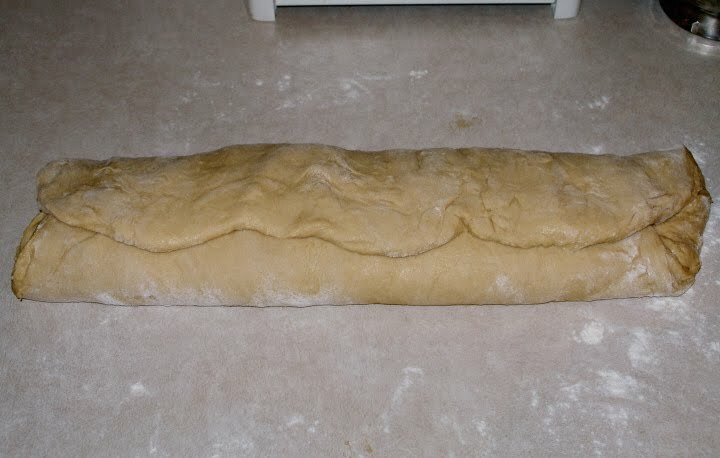 Seal the long edge and place the loaf, seam side down, in a greased 9½ x 5" loaf pan. Let rise until almost doubled. This will take anywhere from 45 minutes to 90 depending on the temperature in your kitchen. 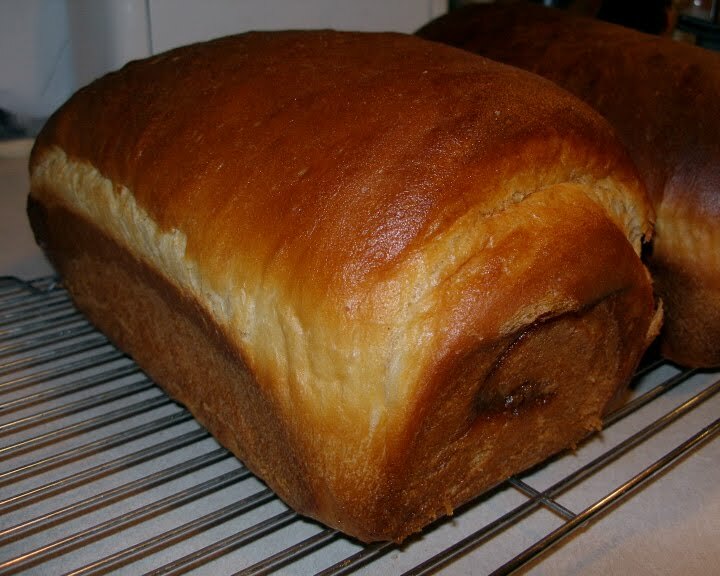 If you wish, you may brush the loaves with soft butter and sprinkle the reserved cinnamon sugar on top before baking. Personally I just like to brush the butter on after it's done baking and sprinkle a touch of cinnamon sugar on when I toast it. Bake at 375ºF for 35 to 40 minutes or till done. (If crust browns too fast, cover with aluminum foil last 15 to 20 minutes of baking). Turn out of pans and cool on rack. Let it cool completely before slicing and preferably overnight. It's hard I know, but it slices better that way. And it freezes wonderfully for months! When you want some, just pop it in the toaster and slather it with butter and a bit of cinnamon sugar if you want. Yummy! I love a forgiving bread recipe, and the cinnamon swirl looks fantastic! That bread looks so delicious!! I'd love a slice with a cup of joe. Mmmm I can almost smell it, I love this! HOw did you get such a beautiful and even swirl, wonderful! Thanks! 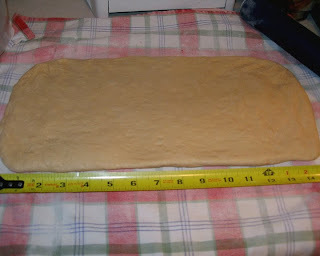 I love my new silicon pastry pin; it's 20" long! Makes rolling evenly much easier. I do think the little pull I give toward me from the bottom as I roll it up helps promote a nice, tight loaf and swirl. Now I will go run to the hardware store and purchase a new spray bottle! 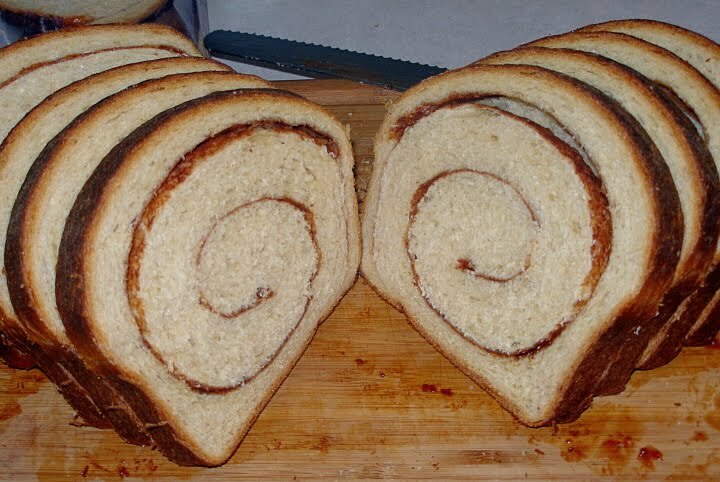 What a perfect swirl! I'm envious. Can almost smell the cinnamon!